Are you looking for a healthier way to satisfy a snack attack between meals? When cravings strike it can be tempting to grab something quick and sugary, but too often the foods we reach for to get an “instant fix” don’t sustain us for the long haul. In fact, they can set us up for an energy crash . . . that leads to more snacking . . . and well, you know how the cycle goes. But fear not friends! 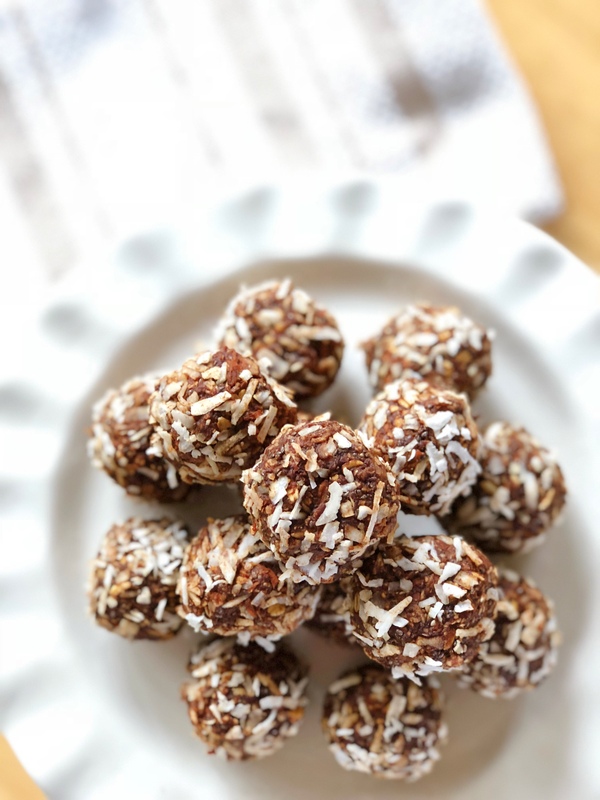 I have a tasty, healthy snack option that satisfies in a pinch, and will help you stay the course on your Eat Better Reboot. My delicious Cacao Bunny Bites are the perfect solution when you need a little something to tide you over. 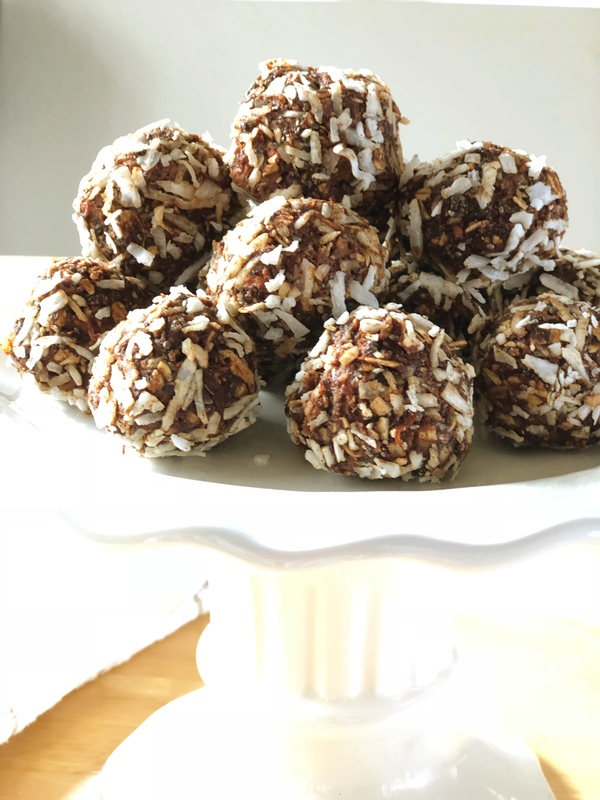 Gluten and dairy free, these no-bake snack balls are brimming with raw, plant-powered ingredients that have just the right balance of protein and fiber to kick your craving to the curb. They get their mild sweetness from a touch of pure maple syrup and vanilla as well as a hit of chai masala spice that ties everything together. With a full cup of fresh grated carrots in every batch, these bites will appeal to your inner bunny too. They last up to a week in your refrigerator, or double the batch and freeze them for up to three months. 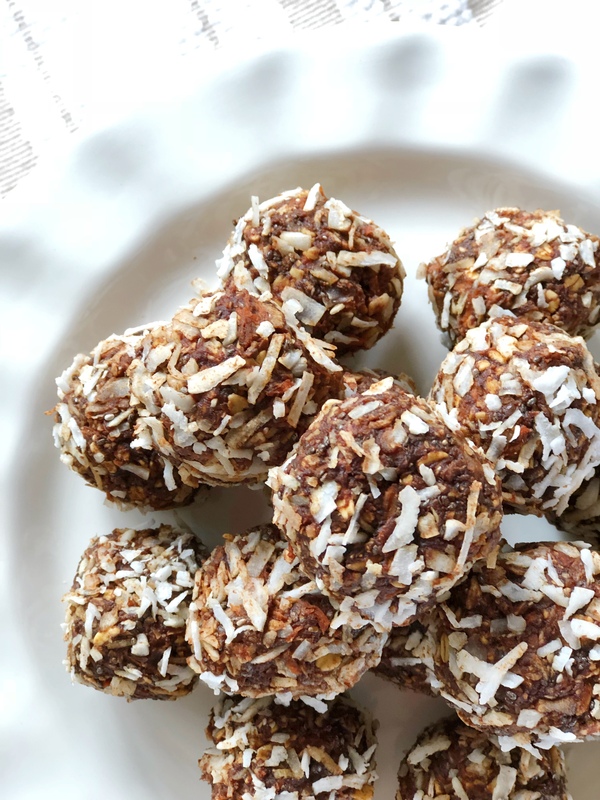 Convenient, healthy and delicious, these bites are my snack attack go-to! 1/4 cup shredded unsweetened coconut flakes (+ an extra 1/3 cup for rolling at the finish). Place coconut oil in a medium size, microwave safe bowl and melt (approximately 30 seconds). Stir in maple syrup and vanilla extract. Add almond butter and whisk until smooth. Place gluten-free oats in the bowl of a food processor and pulse until coarsely ground. Transfer to a large mixing bowl. Add remaining ingredients. Stir in the almond butter mixture until everything is incorporated. Use a tablespoon to measure one serving, and shape into a ball with your fingers. Set aside on a plate. Repeat with remaining mixture (you should have 16 balls). Finish by rolling each ball in coconut flakes. Place the balls in a covered container in the refrigerator if using immediately, or seal and freeze up to three months. I can’t wait to make these Bunny Bites for my 3yr-old grandson! We’re always on the lookout for low sugar, nutritious treats. He’s dairy sensitive so these are perfect — and I’ll substitute sun butter. Thanks Karen! Perfect Lynne! I’m so pleased. Let me know how he likes them. I’d love feedback on whether they get the Kid Seal of Approval. What a delicious looking snack- that is also good for you. Thank you Cathryn! It’s a good-for-you snack that tastes good too. Win-win!